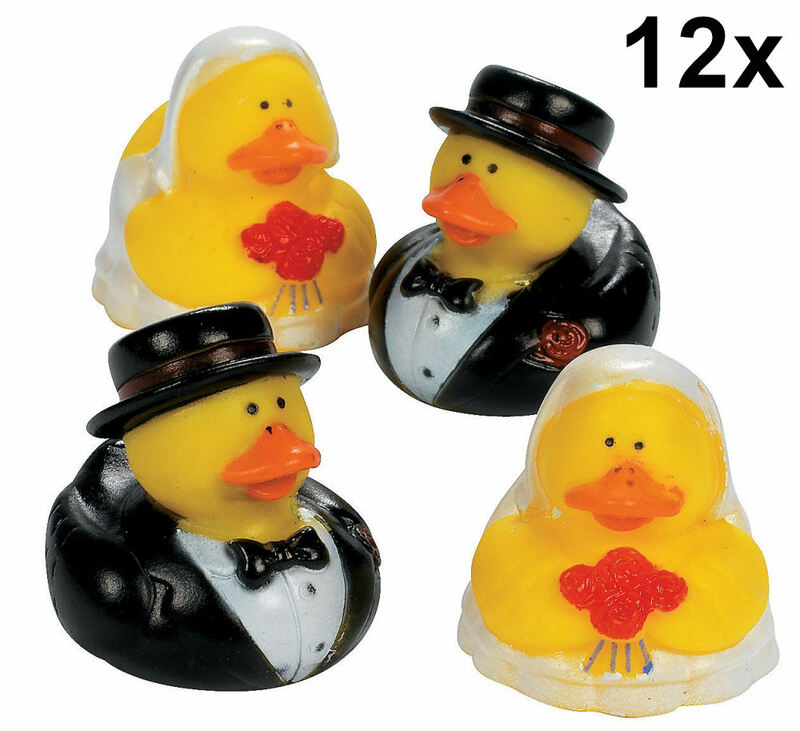 These 12 Bride & Groom Rubber Ducks make fun favors for the rehearsal dinner, a bridal shower or any other casual wedding event. Includes 6 of each style. Vinyl. 2 inch duckies do not float upright.